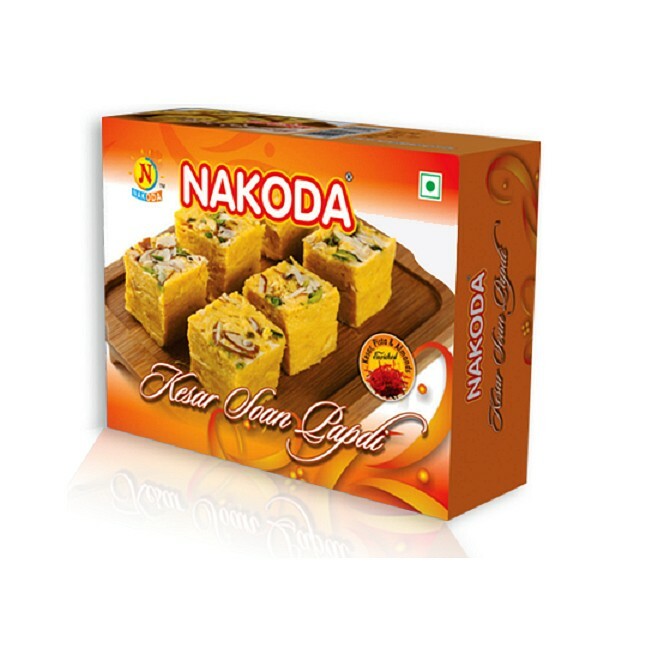 Buy Kesar Soan Papdi of Nakoda Foods from Indore online | Authentic Indian Sweet , Savories and Delicacies from the place they originate by Moipot. Nakoda Foods iconic sweet shop from Indore brings you their legendary dessert soan papdi. Prepared using the finest quality of ingredients these flaky, sweet delights make for a delectable sweet loved by all. Seasoned with saffron (kesar) for a special twist in your palate, soan papdi from Nakoda Foods will soon find a place in your heart.